¿Qué sucede en otoño? / What Happens in Fall? Why do the leaves fall off trees in autumn? 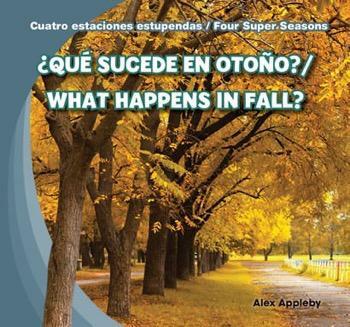 Through the use of accessible text, presented in both English and standard Latin-American Spanish, readers learn the basic science of fall and understand why the weather gets colder as the year goes on. Each season has its unique qualities, and this series explains to young readers what makes fall unique in its own way.